When it comes to hitting the hill in style, the Descente Jade Ski Jacket truly has no rival. 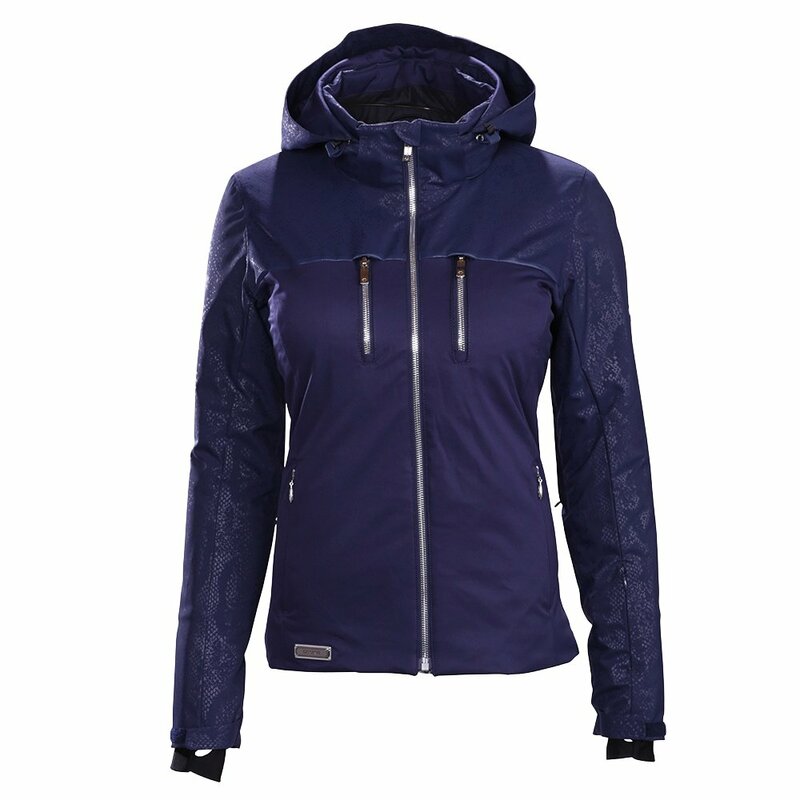 With a mix of shimmery Jacquard and Snowscape stretch fabric - both offering a 20K waterproofing rating, of course - this luxurious ski jacket is designed to perform and steal the show. While wearing this jacket, feel free to ski the bumps and cruise right under the guns, since it has 100G Thinsulate insulation and uses advanced Heat Navi technology to trap warmth. Since this is a regular cut jacket, it's not too fitted, which makes it perfect for layering and extremely cold weather wear. The Jade Jacket is packed with features like a pass holder, mesh inner pockets and a hood that can be removed on sunnier days. "Does this jacket have underarm venting?" "Thank you for your inquiry. Yes, it has under the arm zipped vents. We hope this information helps ! " "Is the hood on this jacket helmet compatible?" "Thank you for your inquiry. The Descente Jade Ski Jacket is not helmet compatible. However, the hood is removable. We hope this information helps! " Been looking for a few years for a new jacket, this one ticked all the boxes. More shapely fit, but not too slim, so i can still fit a few layers underneath. That being said, jacket was warm! Fit was great, great movement as well.. Color is bright too, so was easy for the family to find me.